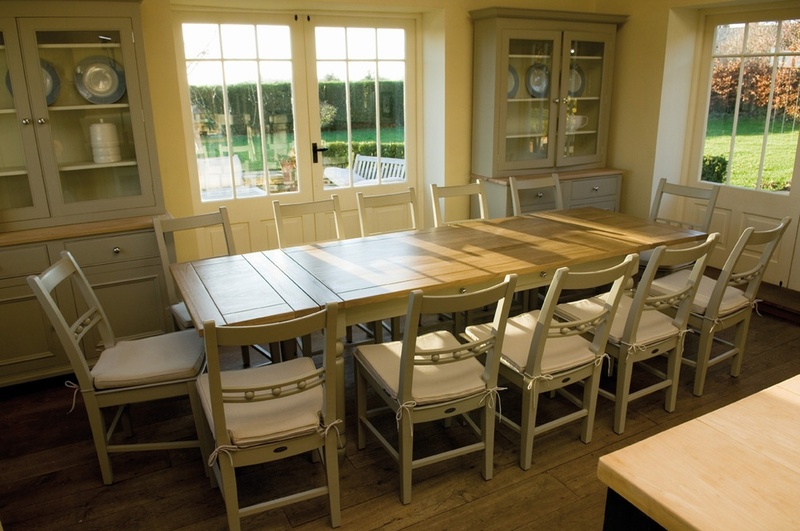 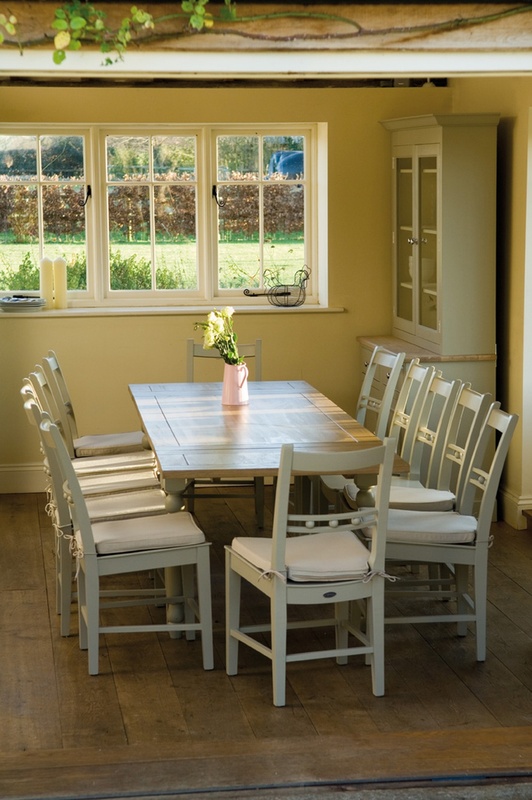 This beautiful extending Suffolk Table will look beautiful in any home. 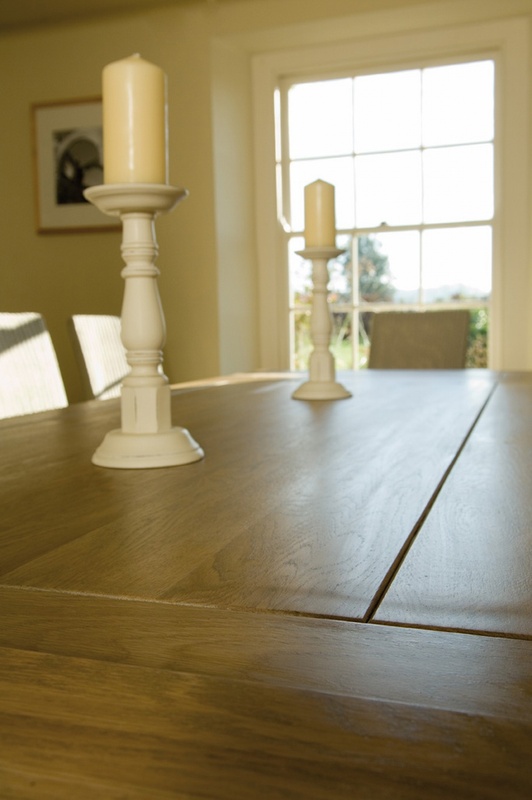 The solid oak top is made with a traditional 'breadboard' construction, a detail that allows the natural timber to breathe. 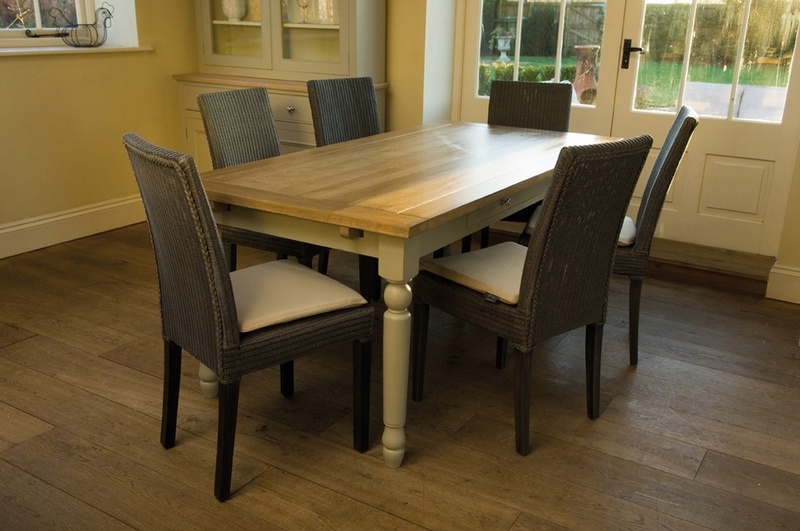 The hand painted finish and beautiful ball design are not the only fantastic elements in this brilliant table: the extending system is simple to use and very hard wearing, allowing decades of trouble-free use. 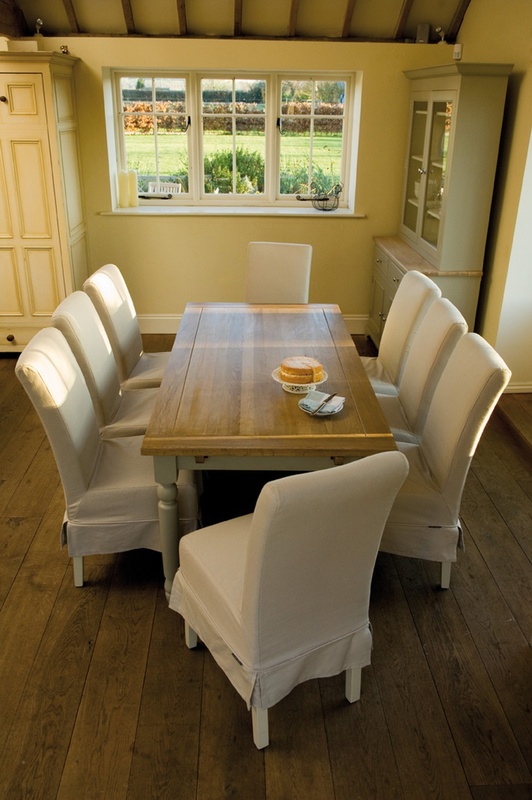 With the larger table seating up to 12 in comfort, this is a great choice for any space you use in a variety of ways.